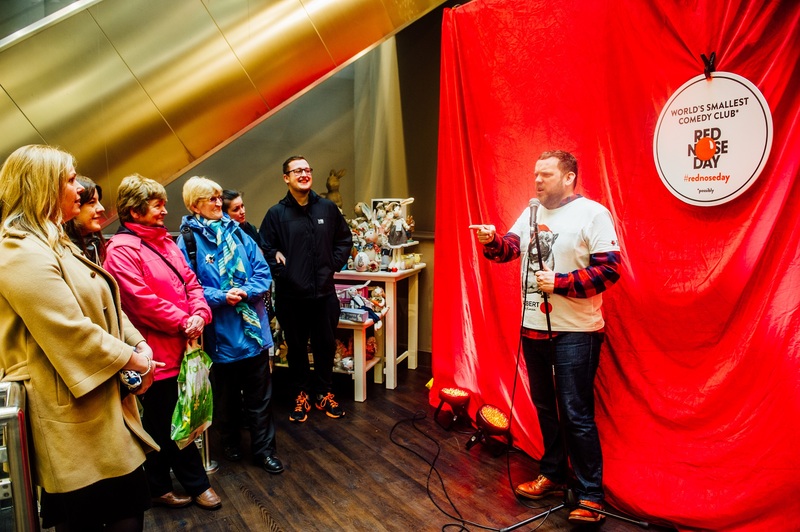 On Monday 20th March an area of the flagship store on the Hayes in Cardiff was transformed into the World’s Smallest Comedy Club*. 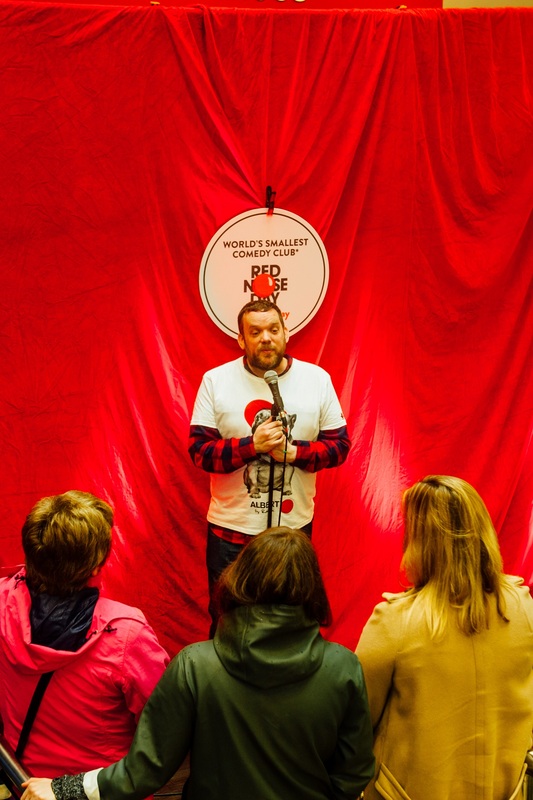 The pop-up may have been small in size but it delivered big laughs, with Bristol comedian Mark Olver taking to the stage to give shoppers a bite-sized burst of comedy to liven up their lunchbreak. Mark Olver is a seasoned stand-up and television warm-up artist who has worked on comedy favourites such as 8 Out Of 10 Cats, Have I Got News For You and The Jonathan Ross Show. He regularly comperes and performs at comedy clubs across the country and has supported Lee Mack and fellow Bristolian Russell Howard on tour. Last time around, in 2015, the generous people of Wales raised and donated more than £1.3million. This money has been hard at work in the local area, with 134 projects funded across the country. Comic Relief is calling on Welsh fundraisers to make their laughs matter and help change lives. Find out how you can get involved at rednoseday.com. And look the part in one of the limited edition Red Nose Day official T-Shirts available in TK Maxx stores, tkmaxx.com and rednoseday.com. The t-shirts, created by renowned photographer Rankin, feature a selection of unique, quirky and quintessentially British animal portraits including Coco the Cat, Bertie the Bunny and Albert the Bulldog. Modelled by Jack Whitehall, Maisie Williams and a host of other famous faces, the T-shirts are available in styles for both adults and kids – perfect for the whole family to mix and match their favourite loveable animals. Prices for kids start from £6.99 with at least £2.50 going to Comic Relief and prices for adults start from £9.99 with at least £5 going to Comic Relief. Kids T-shirts are also sold in HomeSense stores.